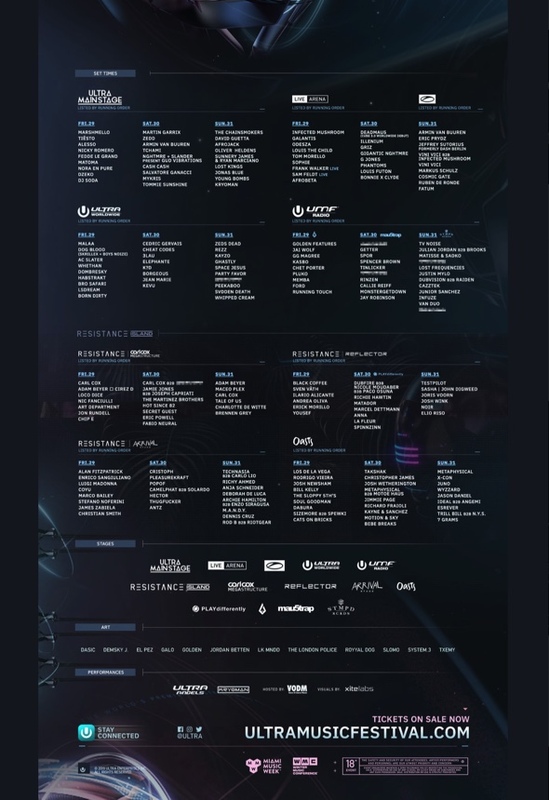 Ultra Miami has unveiled its full line-up, with a complete list of headliners including Adam Beyer b2b Cirez D, Afrojack, Alesso, Armin van Buuren, Martin Garrix, Carl Cox, David Guetta, Dubfire b2b Nicole Moudaber b2b Paco Osuna, Eric Prydz, Jamie Jones and Joseph Capriati set to play between Friday 29th and Sunday 31st March. It's another gargantuan list of names for one of the world's flagship dance festivals, which is now just 16 days away, and we've barely scratched the surface of what's on offer. In February Ultra revealed a first look at its new Virginia Key site, having lost its license for the former home of Bayfront Park after 20 years. Organisers have also announced a new environmental policy in a bid to alleviate concerns over its impact on 2019's location. ULTRA MIAMI — FINAL LINEUP ANNOUNCED!